Welcome to the LaSalle Shaolin Kempo Karate web site. Since 30 years and under the supervision of Master Maurille St-Louis, 8th dan, the school is located in the district of LaSalle in Montreal (Canada). Kempo means "Law of the fist". 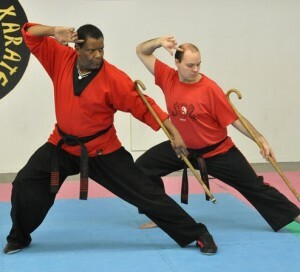 Kempo is a whole package of combat techniques and emphasis the use of the natural body weapons. More than a combat technique, Kempo is a mental discipline, a physical discipline and a self-defense discipline based on the use of hands and feet to stop an opponent. Kempo is for everyone and the school offer lessons to children, teenagers and adults.